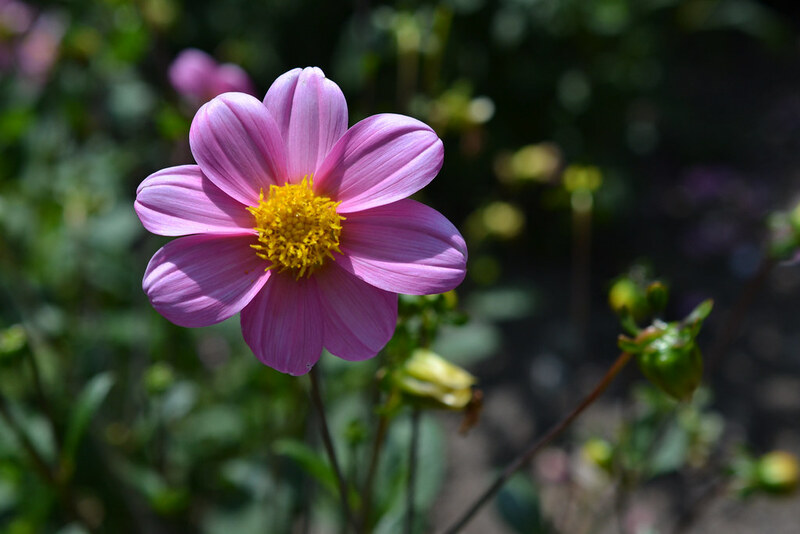 When Brooklyn Botanic Garden was established, more than century ago, one of its main tenets was to provide not only a respite from the quickly developing city but also educational resources for plant lovers with all levels of knowledge, from laypeople to horticulturists to scientists. To this end, the core collections in the central part of the Garden were organized by plant family. 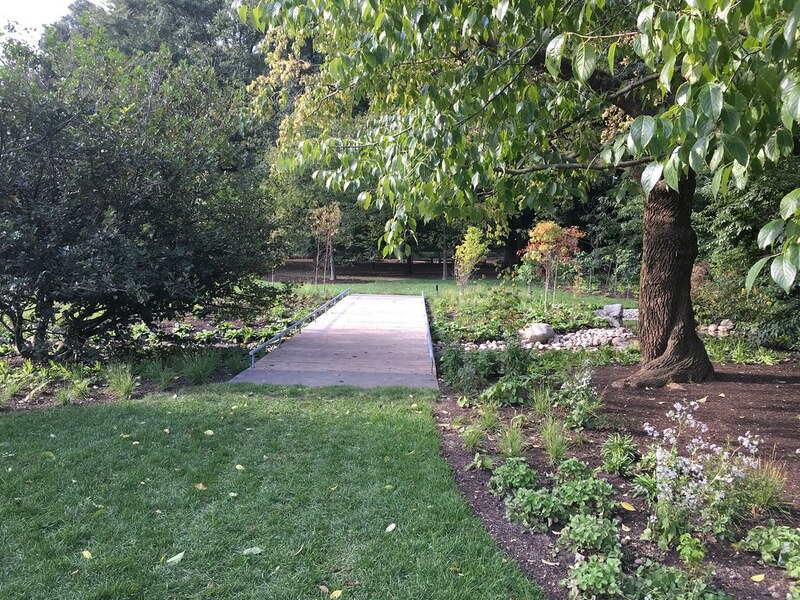 This portion of the Garden, also called the Systematic Section, was designed by landscape architect Harold Caparn to present living examples of closely related plants for side-by-side observation. In his effort to present a living collection that would show how plants evolved, Caparn likely drew from collections like the Arnold Arboretum at Harvard University, which was established in 1872 and designed by Frederick Law Olmsted. The arboretum, also arranged by plant family, was inspired by similar gardens in Europe. Caparn wrote frequently in professional journals about the planning and philosophy behind the Systematic Section, and in 1915, he described his vision of a visitor’s experience. Recent research in plant genetics has brought some changes to our understanding of the evolutionary history of higher plants, but the basic scheme still provides a useful primer in plant evolution. The current renovation presented an opportunity to incorporate new plantings into the historic layout, and MVVA worked closely with Rowan Blaik, BBG’s director of Living Collections, to identify new additions. 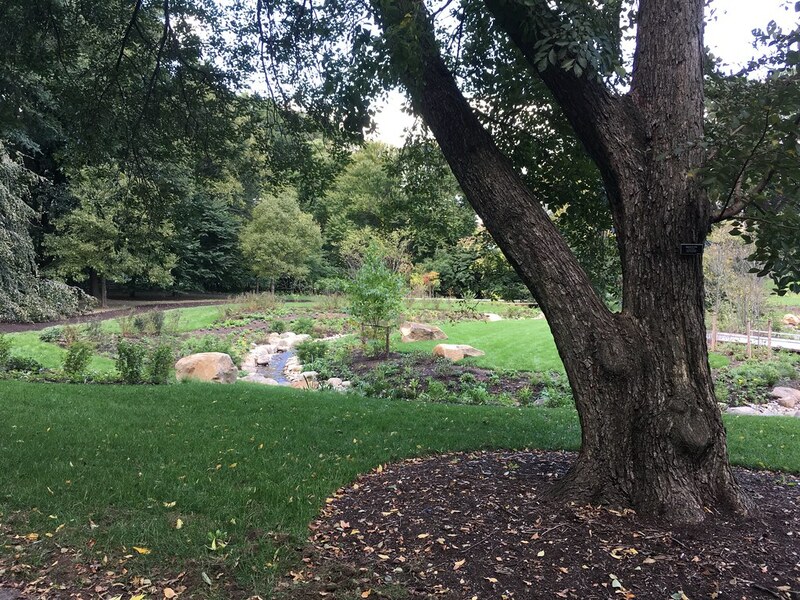 More than 150 existing trees and shrubs—the majority of those within the construction area—were retained in their original places, while another 27 were transplanted, says Blaik. Among them is a rare cherry species, Prunus hirtipes, which was transplanted within the rose family section. Thousands of new woody and herbaceous plants will also be added. In the willow family section, for instance, a number of low, sprawling species were planted among several taller willow trees, which diversified the collection and introduced a variety of leaf textures, says Siebenmorgen. In the witch-hazel family, several later-blooming varieties were planted near a large, mature Persian ironwood and the witch-hazels and winter hazels that were already present. “The ironwood was damaged in a storm just prior to the work on the Garden but is recovering now with significant regrowth,” says Siebenmorgen. “It is surrounded by several very large and shrubby witch-hazels and winter hazels, all from the same family. 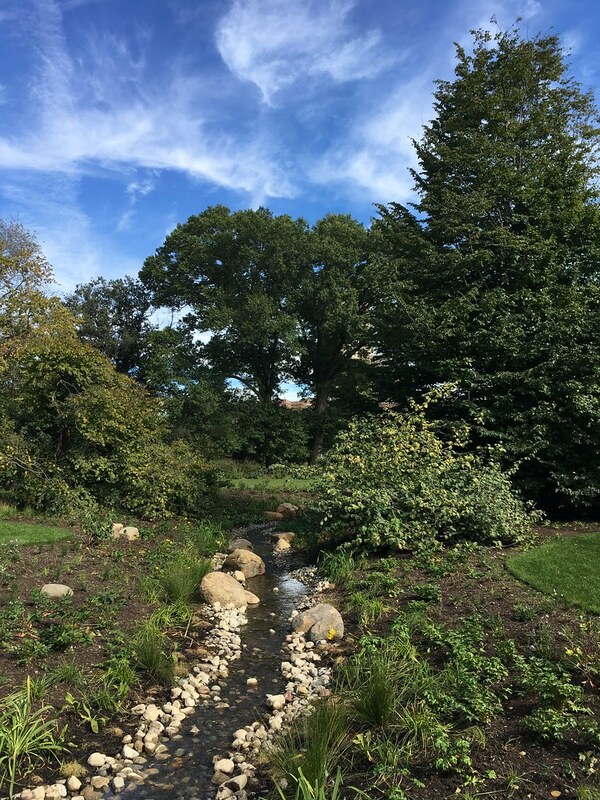 These form green domes wider than they are tall, almost like fat clouds sitting on the lawn.” The newly opened area will also include along the stream some of the same iris and sedge species that are in the Water Garden to help tie the two spaces together. The design is also meant to draw people closer to the plants themselves and encourage a more thoughtful visit. The taxonomic arrangement of plants that Harold Caparn established still provides a living primer on plant evolution. A close look at plant structures can provide family clues. Among the first vascular plants were the ferns, which appeared some 300 to 350 million years ago. Ferns do not bear seeds but instead form simpler single-celled reproductive structures, spores, which can develop into a plantlet that can fertilize and mature in moist conditions. This family is represented by waterside glades of ferns in the Japanese Hill-and- Pond Garden. Nearby, wrapping around the south side of Celebrity Path, are the conifers—pines, junipers, cypresses, and their kin—some of the earliest seed-bearing plants. 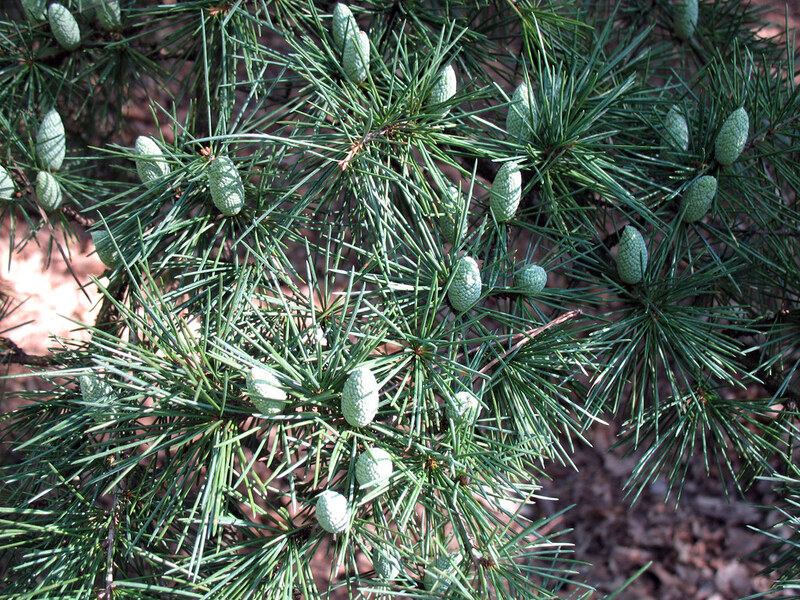 Conifers do not produce flowers or fruit but make pollen and seeds in woody cones. The seed cone contains ovules, which, when fertilized by pollen, become seeds. The pollen and seeds are dispersed by wind. 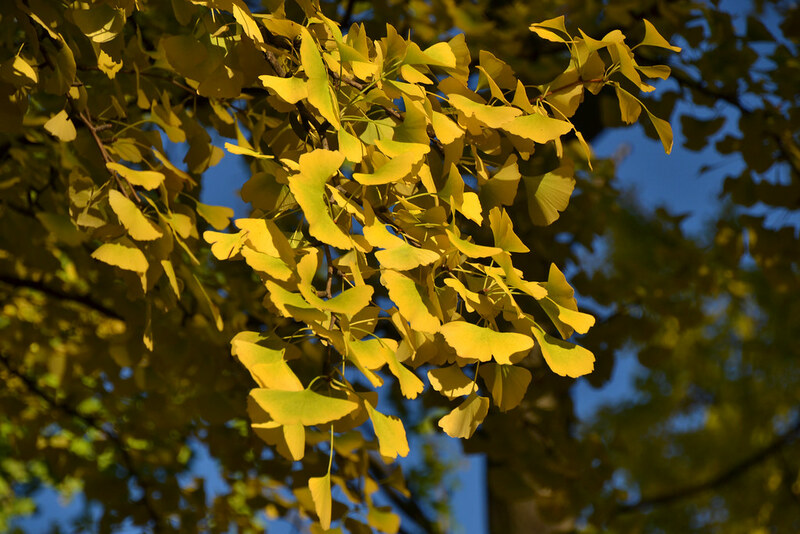 Ginkgo biloba is the single remaining species of a family that dates back to the Triassic period, 225 to 190 million years ago. It has fan-shaped leaves and lacks cones. Its seeds are encased in a fleshy, malodorous outer coating. Rare (or extinct) in its native habitat, it is common in New York City; here at BBG, specimens can be found in and near Ginkgo Triangle. 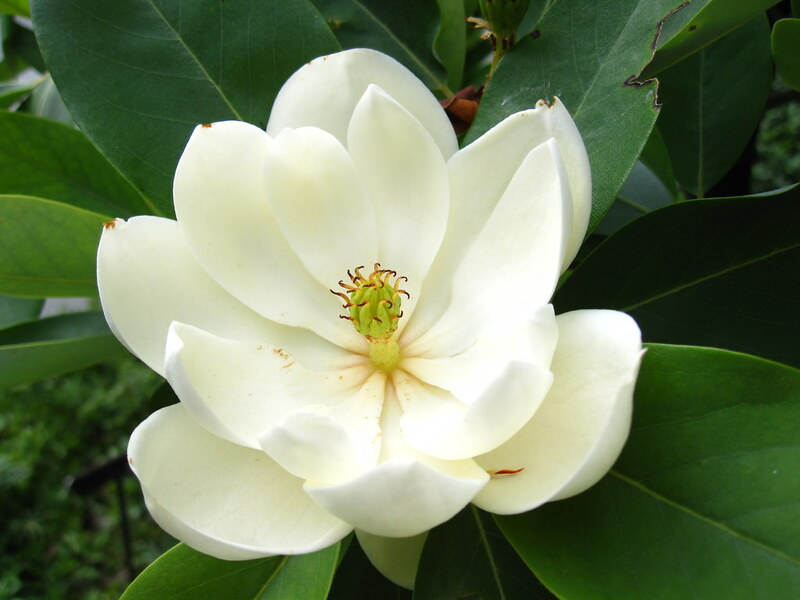 Magnolias are among the earliest flowering plants. They have many primitive characteristics, most notably flowers with parts that are large and not joined together—numerous petals, sepals, and stamens arranged in a spiral. These early flowers generally lack the bright colors that would attract insects with more advanced eyesight. 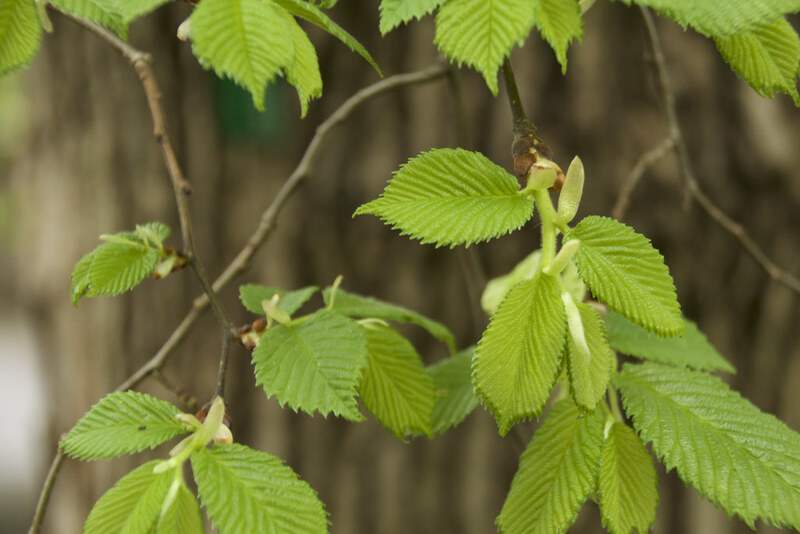 A century ago, many botanists viewed the inconspicuous, odorless, and often petalless flowers of the elms (Ulmus), oaks (Quercus), and walnuts (Juglans) as a primitive feature. However, recent scientific research has shown that these plants have reverted to wind pollination and are more highly evolved than once presumed. They likely appeared around 60 million years ago. Members of the heath family show considerable advancement beyond more primitive flowering plants like magnolias. As flowering plants evolved, they exhibited flowers with fewer parts. Petals became fused or partially joined. In the heaths, petals are fused almost to the tip, forming a tubular, trumpetshaped bloom. About 50 million years ago, bees and butterflies became more diverse and abundant, and flowers began to evolve with them. 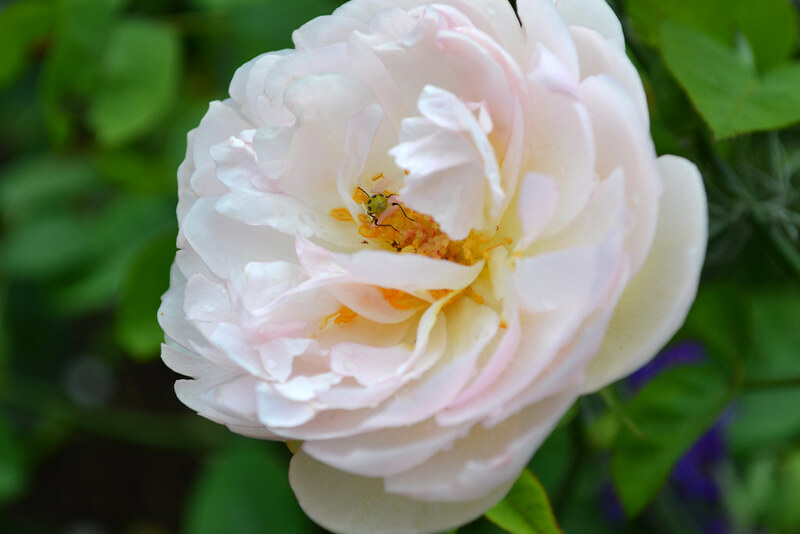 Plants of the rose family developed structures that protect the female part of the flower. Rather than relying on wind pollination, they depend on insects and other animals to transfer pollen and disperse their seeds. Closely related to the roses are the legumes. Many legumes produce asymmetrical flowers (an advanced evolutionary feature) with one large petal above, two separate lateral petals below, and two fused lower petals. This structure evolved specifically for insect pollination—in fact, some legumes developed flowers to attract a single insect species. 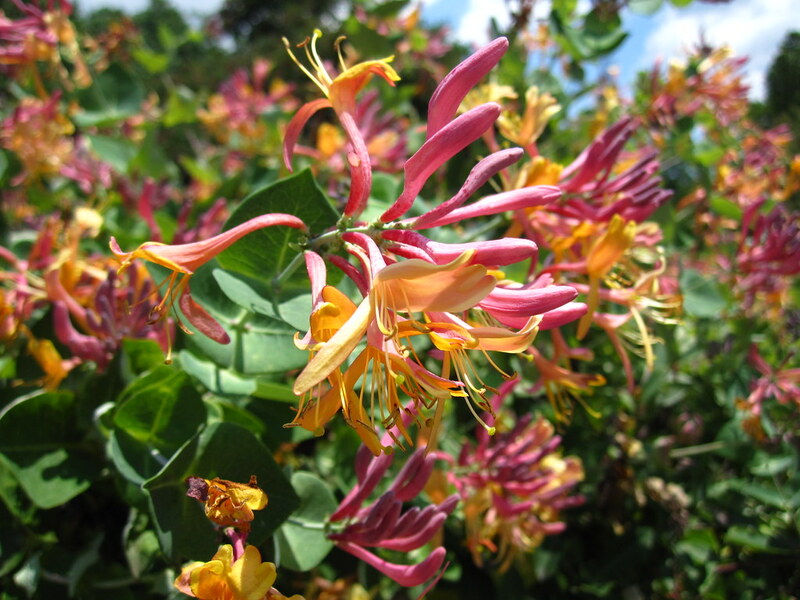 Honeysuckles, abelias, and viburnums are all members of this family. Their distinctive blooms may be colorful and are often intensely fragrant. The flowers, which generally contain sweet nectar, are tube-shaped and adapted to the long tongues of pollinators such as butterflies, moths, and hummingbirds. Plants in the willow family, which also includes aspens and cottonwoods, are dioecious, meaning male and female flowers appear on separate plants. 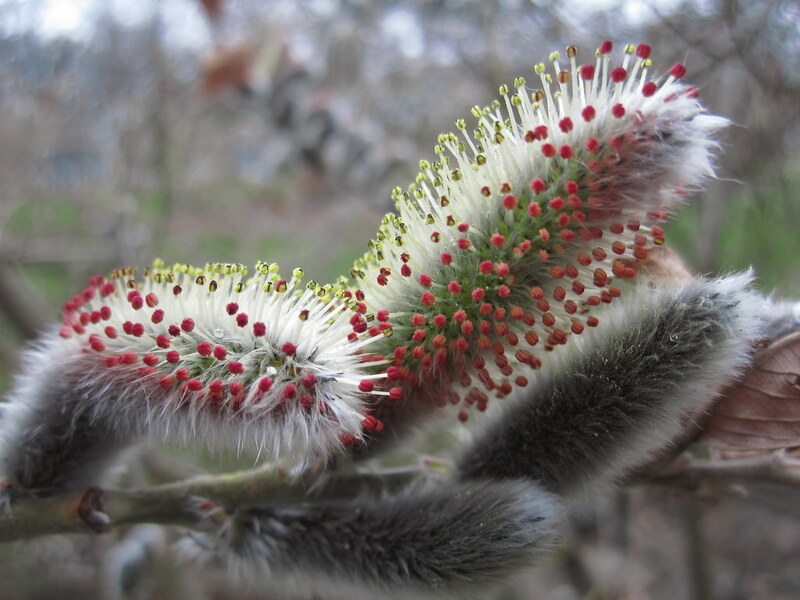 Willows typically produce small, petalless flowers in a structure called a catkin. They reproduce and grow quickly, and BBG’s collection now includes a variety of mature and new specimens. Among the most advanced of flowering plants, members of the daisy family have a distinctive “composite” flower head, in which numerous very small flowers are clustered together. The central disc consists of many florets, each made up of five joined petals. Surrounding the central disk are ray florets, each with a large, prominent petal. Over 60,000 species, including grasses and lilies, are grouped as monocots. They have a singleleaf seedling, leaves with parallel veins, and petals and flower parts in threes or multiples of three. Simple does not necessarily mean primitive: Botanists believe that monocots evolved from dicots about 100 million years ago by losing over time one of the two seed leaves found in every dicot. 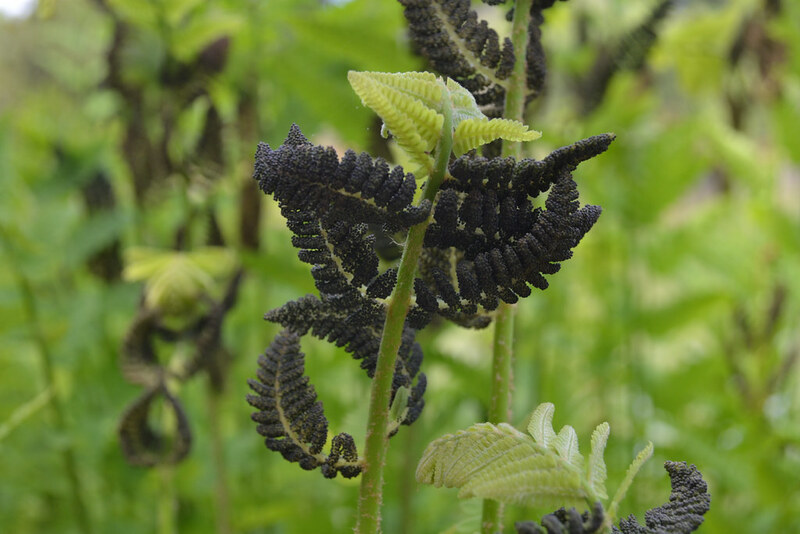 Osmunda claytoniana (interrupted fern) in the Japanese Hill-and-Pond Garden. Photo by Blanca Begert. Ginkgo biloba leaves, in transition to fall color, along the Overlook. Photo by Lee Patrick. Rosa 'Gentle Hermione' in the Cranford Rose Garden. Photo by Jean-Marc Grambert. Honeysuckle (Lonicera heckrottii 'Goldflame') in full bloom near the Herb Garden. Photo by Rebecca Bullene. Dahlia 'Bonne Espérance' (mignon single dahlia) in the Plant Family Collection. Photo by Morrigan McCarthy. Maturing Cedrus deodara cones in the Conifer Collection. Photo by Anne O'Neill. Sweetbay (Magnolia virginiana) is a semievergreen magnolia native to eastern North America. 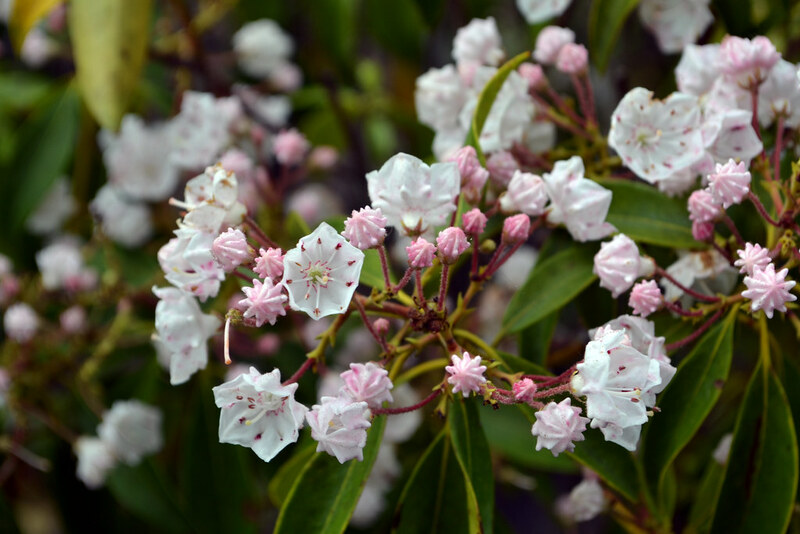 Its creamy-white, fragrant flowers appear in June. Photo by Rebecca Bullene. 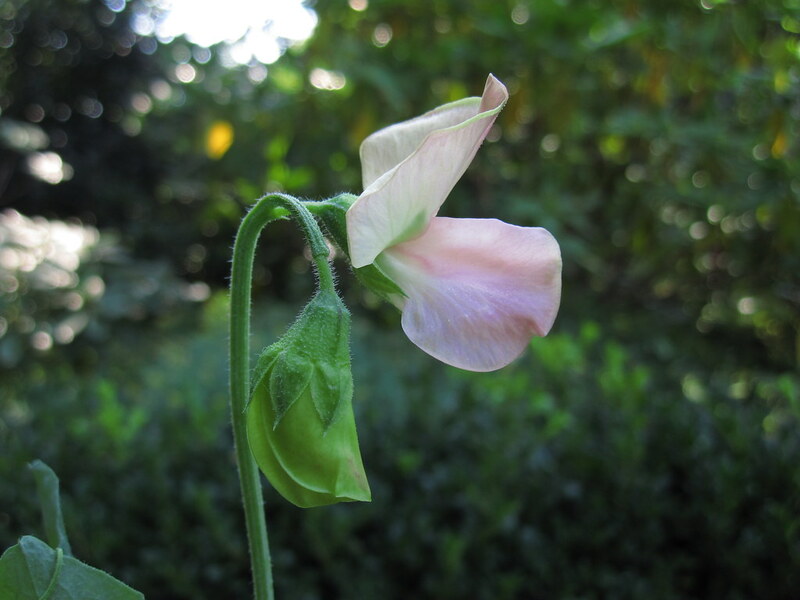 Sweet pea (Lathyrus odoratus 'Old Spice Mix') blooms in the Fragrance Garden. Photo by Rebecca Bullene. 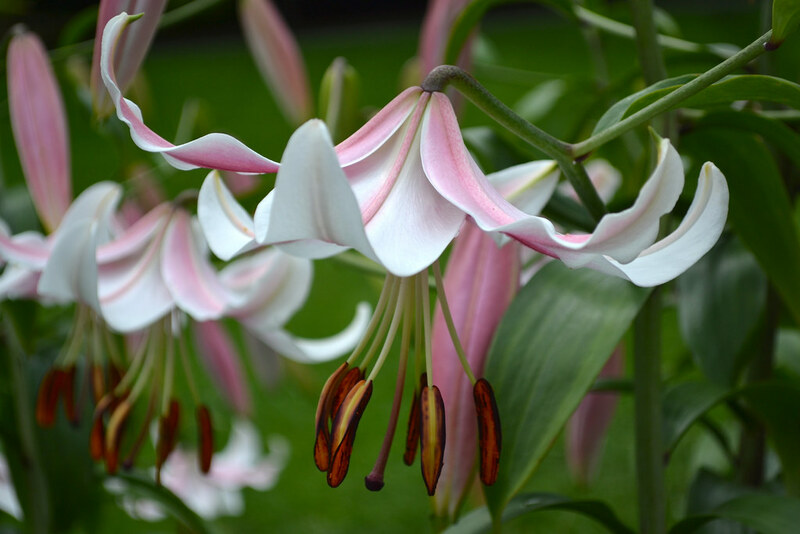 Lilium (lily) 'Anastasia' in the Plant Family Collection monocot border. Photo by Blanca Begert. The Plant Family Collection reopened in October. Some specimens, like this Japanese elm (Ulmus japonica), planted in 1951, were retained in their original situation. Thousands of new plants were also added. Photo by Sarah Schmidt. Wooden plank bridges and grassy walkways are meant to draw visitors closer to the Plant Family Collection. Photo by Sarah Schmidt. Belle's Brook, which winds through the Plant Family Collection, has been redesigned with graceful curves and a pebbly stream bed. Photo by Sarah Schmidt. Ulmus glabra 'Camperdownii' (Camperdown elm) in Bluebell Wood. Photo by Blanca Begert.